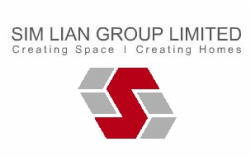 Sim Lian Group engages in the property investment and development, and building construction activities in Singapore. It also develops residential, industrial, and commercial projects; and leases investment properties. In addition, the company trades in industrial and marine lubricants; and leases, services, and maintains construction and industrial equipment and parts, as well as mobile sanitation facilities. Further, it engages in the design, consultancy, installation, maintenance, and related import and export sales of offshore module; and investment, development, operation, and management of real estate and real estate related assets. The company was founded in 1976. Conclusion : From the price's perspective, it is traded above the CNAV2 but at a discount when compared it with NAV. 1. The company has a strong Balance Sheet. 3. As at 30/06/2015, the Group's outstanding order book is approximately $566.6 millions. 5. One area to take note is that the trading volume of the counter is quite low on most of the days. Click here for the pdf copy of Sim Lian Group's 2015 Annual Report! Sim Lian Group is not a CNAV stock but still worth a second look for potential INCOME play. Is there any tool to screen out CNAV stocks?